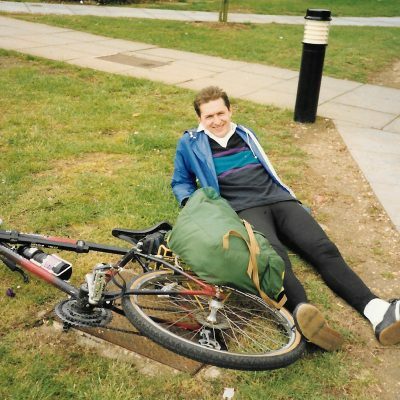 Having started and ended the 1991 IOW randonee at Sandown Bay I was rather worn out. Trevor and Martyn had to continue to Bembridge, then on to Ryde. I thought I could make it too, but I wimped out at Brading when the road started rising again and took the shortcut home.